Well there’s the vegetables that usually come with the meat. Also depends on how the meat is prepared. Some places coat the meat with corn starch which has 8 net carb per Tblsp. But 92 does seem unusually high. What was your source for that calculation? Fast food chains add probably stuff to their foods. Not sure where you get the calculations from if your taking out tortillas. When I go for mexican food at a good restaraunt, I get a fajita mix platter with meats, peppers, onions, and sour cream and guacamole. I tell them to hold the tortilla or give them to whoever I am with. I typically don’t have cheese since they don’t come with it where I go. badmojomn well so that’s what I was thinking. I got exactly what you just mentioned sept mine did come with a little shredded cheese. I got some queso and dipped some veggies in it, and I’m down 12lbs total this morning. So I guess I’m good! I havnt tested my levels yet, but I lost instead of gained. That’s my favorite thing from a Mexican place and it seemed odd that it would be so high. What kind of monster puts corn starch on the fajita meat? 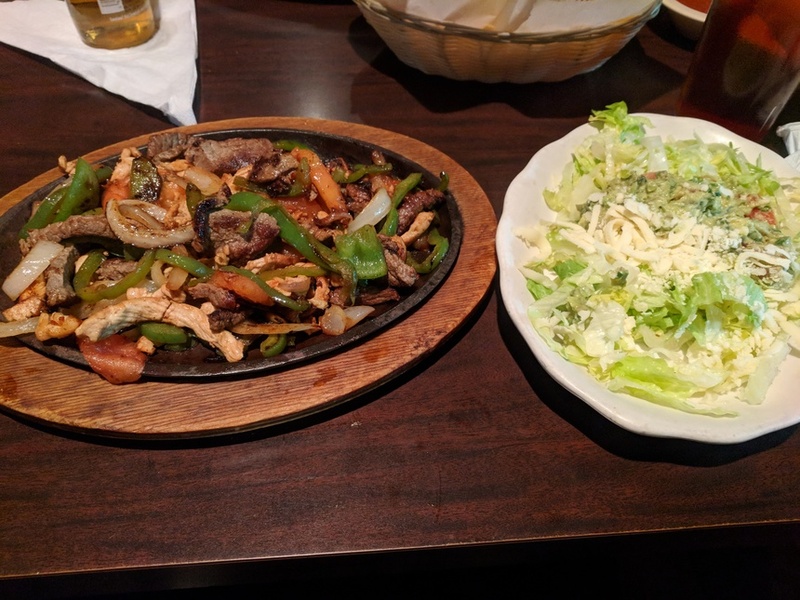 😱 Fajitas are one of the good low-carb options, at least around here. Regarding MyFitnessPal--I tried it for a day or two, but I really disliked than when you put in recipes or whatever it would come back with some crazy numbers. Probably the seasoning they use? Also remember onions are a little high in carbs too. Fajitas are my fav food. Soo good got me craving them now! From what I have seen on this app is that if you put in something like fajitas it will include the tortilla. Some things have to be done individually like the meat, then vegtables and so on. Not sure if that is what is happening with your inputs that is giving you a high carb count. roddymaddox8b07 That's a good point, and I bet you're right. I think that count is including the tortilla or rice. I get fajitas when we go to a mexican restaurant. I get no tortillas and a side of lettuce with guacamole and sour cream and some cheese. we just went the other day. I think that is a good keto option. carolmotsinger Oh yes!!! YES YES YES! The Mexican restaurant I went to tonight offered a taco fajita salad. It had steak, onions, green pepper, a few tomatoes, cheese, sour cream, guacamole, and pinco. I did not eat the shell of course. How do I log all of that into Carb Manager without knowing serving sizes of each ingredient? Every time I try to search, I cannot find what I’m looking for . Thank you! 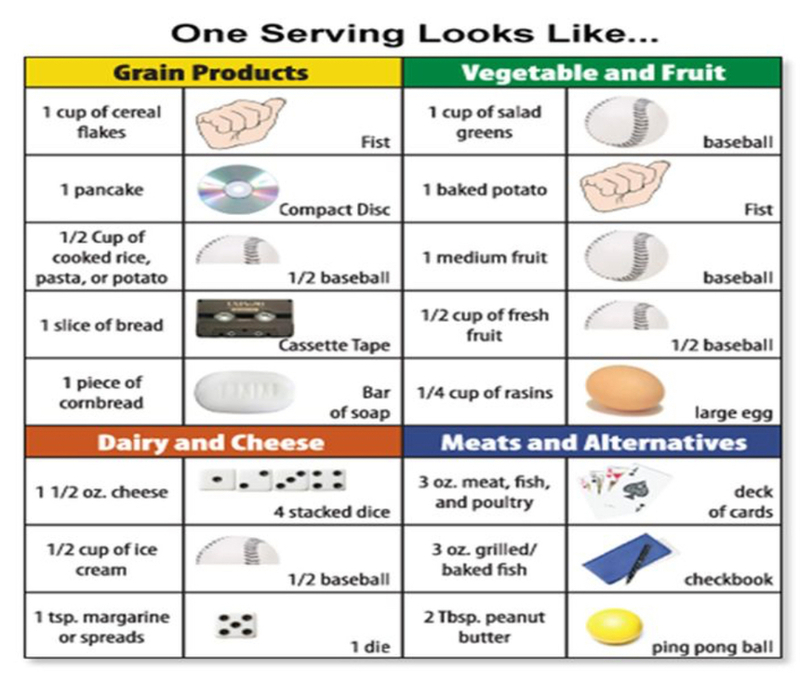 Megan Mullins I’ve learned to estimate portion size over the years (thanks to all those other diets I’ve been on) but if you’re not good at it yet, you can find a variety of charts like this to help. I just googled “ordinary items to estimate portion sizes”. Then just enter each ingredient as best you can. That is a cool chart. I have never seen that before. Google is your best friend for basically everything. If you can't figure it out, google it. Also, don't be afraid to ask your server (or cashier) for ingredients or nutrition info. It can be harder at a smaller place, but are on the right path!